Below you’ll see a comprehensive list of the best cryptocurrency exchanges that we recommend for you to use. But before we get to that let’s walk through some things you’ll need to know. Now for nearly all exchanges you’ll need to have some form of verification or ID to get started trading in volume, so make sure you’ve got a driver's license or passport handy. Since we’re talking about security a lot of exchanges support two-factor authentication. If you’re not sure what that is, you can read about it here. It adds an extra layer of protection on any account you’re using it on and I would personally recommend it anywhere you can and not just on cryptocurrency exchanges. Let’s move onto the exchanges themselves.There’s a few things you need to take into consideration, and we’ll start with location. The blockchain and cryptocurrencies in general are still relatively new leaving regulation very much up in the air. Because of this, different countries each have their own set of regulation rules (or lack of in some cases) meaning some exchanges are held up to higher scrutiny and standards than others. This is particularly true in the United States where each individual state is subject not only to the states own regulation but also that of the federal government. Secondly, the usability of the exchange is key. We’ll go into detail about this when we compare each exchange but the general concept is that some are designed for new traders while some are more purpose built for experienced traders or perhaps a financial. Now if you’re looking to day trade or even just trade semi-regularly, maybe 2 or 3 times per week you should be okay for the most part in simply keeping your assets on the exchange, but if you’re not trading too often you should think about moving your coins off of the exchange and on to a more long term storage medium, like an offline wallet or a ledger to keep them secure and not at the mercy of the exchange they’re on. Now that’s out of the way we can get to the comparisons. Before you get into the nitty and gritty of trading you'll have to obtain cryptocurrency. Below are two of the easiest and cheapest places to do just that. Coinbase / Pro is by and large the most popular US exchange used by millions. Based in San Francisco they’ve been about since 2012 and have since seen explosive growth. Their easy to use interface and convenience allows users to quickly purchase crypto assets with a bank or credit card. Coinbase’s main platform simply lets you trade FIAT to basic currencies such as BTC, ETH, LTC and a few others which you can then keep on the platform or withdraw to wallets, exchanges, ledgers, etc. Coinbase Pro is their full-fledged exchange platform that really gets into trading and exchanging of cryptocurrencies. It’s pretty convenient to use when you’re already registered on Coinbase as your account can be used on both platforms interchangeably, so if you buy some BTC on Coinbase you can then go and trade that for something else on Coinbase Pro which is extremely convenient if you’re not into fussing about with withdrawls and waiting for deposits on other platforms. LocalBitcoins isn't an typical exchange, certainly not for trading. It does however make it very accessible for anyone to purchase Bitcoin from a bank directly, and safely, through other traders looking to sell. LocalBitcoins singular purpose is to buy and sell Bitcoin directly between other traders, and it does this very well. Simply register an account and verify, and then find a trader. The trader will then message you with instructions on where to send the money etc., and if both parties agree the trade goes forward. You can trade on the site and move money between wallets exclusive to LocalBitcoins without any fees, but fees still do apply on withdraws which are subject to the Bitcoin network. Overall, if you're after an exchange but wan't something simple and easy with a focus on person-to-person trading look no further than LocalBitcoins. Now you've got something to trade with, we can explore the best exchanges available to you right now. If you’re looking for an all-round great exchange with an focus on actual trading, look no further than Binance. Incase you haven’t heard of it before, Binance is the world's largest exchange by volume with over 200 coins available for trade while also being one of the newer exchanges to make an entrance. Their site offers basic (unverified) accounts a withdrawal limit of 2BTC/24 hours, or 100BTC/24hrs at “Level 2” verification. Thier own token, Binance Coin allows you to trade on the exchange at a discounted price and is available across the whole platform. Their primary markets include BTC, ETH, and Tether. They offer monthly votes and polls on what coins to add to the platform next and are one of the most trusted exchanges available to use. They were recently in the news for announcing they are going to donate all their listing fees will go to charity moving forward, something no other exchange has previously done and something Binance said they ‘hoped others would follow’. Highly recommended. Founded in 2014, Poloniex has grown rapidly into a well reputed exchange that we know today. It has markets in BTC, ETH, USDT, a new USDC market and lastly XMR, offering a wide variety of assets to trade. One of Poloniex’s standout features is it’s featured margin trading, which is not available on many cryptocurrency focused exchanges and works great for those who are after that functionality. While Poloniex has expanded rapidly, it’s come with some caveats such as growth pains which results, in some cases, slow customer service. Nonetheless, it is a fruitful platform full of great features for advanced traders including an advanced API for developers. Bittrex is a well known US-based exchange that offers multiple popular trading pairs including USD, BTC, ETH and USDT alongside well over 190 cryptocurrencies listed at time of writing. One big plus of Bittrex that was recently introduced is their ability to let users deposit USD FIAT directly into accounts, should you qualify. They offer standard training with no margin options, their fees are on the higher side at 0.25% however they offer a very solid platform with better than average support should you need it, and FIAT deposit to top it all off. OKEx is by far one of the largest exchanges by volume and also one of the most feature rich. Offering a full-fledged beginner and experienced trading view for your preference, they also offer a mobile application for both iOS and Android so you can trade on-the-go, as well as an API for developers. OKEx also has margin trading and some of the lowest fees in the market, and the overall lowest fees out of all the exchanges on this list using a maker and taker fee system. Markets include BTC, ETH, USDT and a unique market of OKB. OKB is OKEx’s own token that lets users trade exclusively in the OKB market. It offers reduced fees over regular markets and weekly bonuses for users that are holding the token. Kraken is an incredibly well designed exchange with one of the best interfaces available. They are based in California, and as such are therefore subject to numerous regulations brought down on them by the U.S Government, for better or for worse. It is extremely accessible, being that it allows FIAT deposits directly into your account in the form of USD wire transfers, EUR SEPA or wire transfers and CAD wire transfers. They also offer margin trading for users and easy asset management through the account interface. Their support is also noteworthy as my experience with them has seen nothing but quick responses and fast resolutions, though your mileage may vary. Live chat support is also available. Bitfinex is another exchange with large volume amounts, and has seen its fair share of news coverage in recent years. They have suffered from a data breach in years past (2016) suffering in the loss upwards of $70 million. 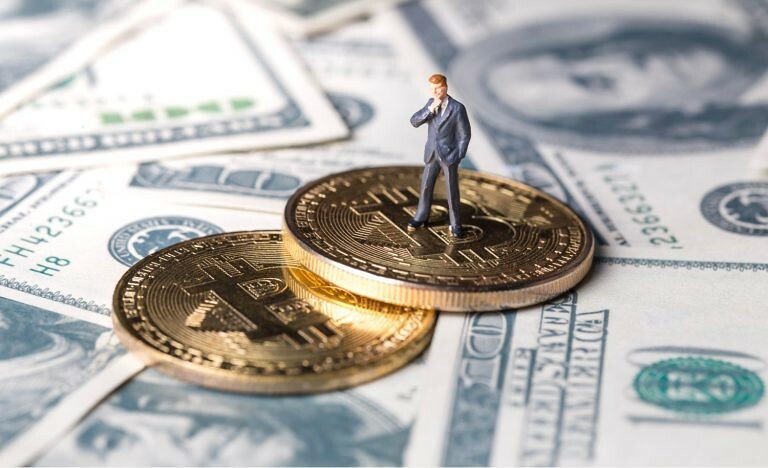 More recently, they have been under for for their connection to USDT ‘Tether’ surrounding the legitimacy of that token, which is still ongoing. And to top it all off, Bitfinex at the time of writing is not available in the United States. However, if you’re not in the United States, it is still worth checking out, offering margin trading and FIAT deposits for your account Bitfinex is a feature-rich exchange offering many pairings and since it’s based in Hong Kong, isn’t subject to such tight regulation laws that can be seen in other parts of the world. That brings an end to our list of exchange reviews, I hope you’ve learned some information about the more popular exchanges out there, we didn’t mention all of them of course, and you should evaluate your own needs before picking a service to sign up to, but hopefully you’ll now be at least a bit more educated when the time comes to making that decision. Exchange volume as of time of writing. Coinfield is now my go to exchange mainly because they have alot of fiat and xrp parings. I can see them rivalling binance by the end of 2019. Great article, I usually use Coinbase + binance!